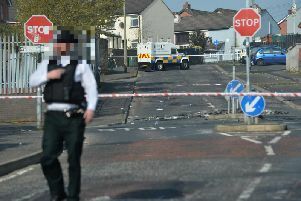 Residents of the Holylands have been complaining about ongoing anti-social behaviour the day after St Patrick’s Day. The locals also expressed concern at the widespread flying of Tricolours from student properties, in what is an integrated area. There was continuing street drinking through March 18, in addition to the heavy partying the day before. The permanent residents, who live close to Queen’s University but are massively outnumbered by temporary young residents, complained about litter being left at people’s homes. Ms Ruddy said that Belfast City Council had been left with a massive cleaning up operation on both March 17 and 18. In 2009, there were riots in the Holylands on St Patrick’s Day amid the drunken excesses of the celebrations. The trouble sparked widespread criticism of the student culprits.